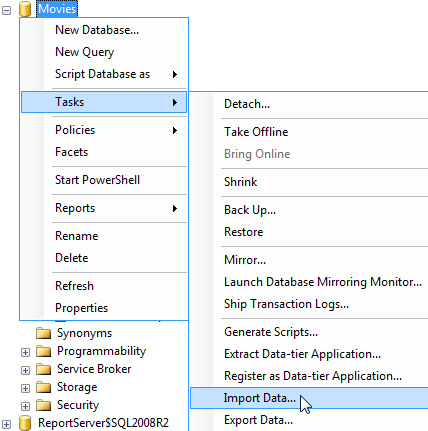 If you frequently import data into a SQL Server database from the same source you'll probably be sick of going through the import wizard again and again. So why not learn how to schedule an automatic import of your data using SSIS packages and the SQL Server Agent? This blog explains how to do exactly that! Importing data into a SQL Server database isn't really that tricky: there's a straightforward wizard that you can follow to get information from Microsoft Excel, Access and even text files. But what if you want to perform the same import of data on a regular basis? Having to go through the wizard on a weekly, daily, or even hourly basis could become very tedious very quickly! Use the SQL Server Import and Export Wizard to create a SQL Server Integration Services (SSIS) package. Schedule a job which executes the SSIS package according the schedule you want. This blog explains the process using SQL Server 2008 R2 and an Excel 2010 spreadsheet. If you need background information on some of the techniques mentioned in this blog, you might want to familiarise yourself with our SQL Tutorial blog series first (or book look at our other SQL training resources). 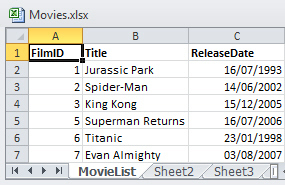 For this blog we're going to import a set of data related to movies from an Excel spreadsheet into an existing SQL Server database. This Excel spreadsheet... will be imported into this SQL Server database. 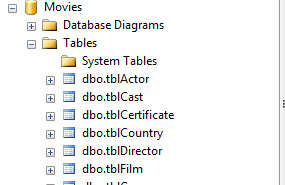 In SQL Server Management Studio, locate your database in the Object Explorer pane at the left hand side of the screen. Choose this option to start the import wizard. The next part of this blog series explains the steps to follow in the import wizard in order to create an SSIS package.